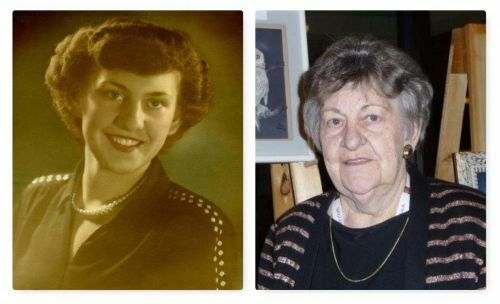 It is with profound sadness that we announce the passing of Margaret Bailey, mother, grandmother and great-grandmother, who died peacefully on March 29, 2017 at Meadowood Manor in Winnipeg. Mom was born on May 24, 1931 to Olga and Hubert VanDillen, the middle of six children, and grew up on the family farm near Manitou, Manitoba in the beautiful Pembina valley. Mom and dad were married in 1951 and they spent their early days in Morden, Manitoba, before relocating to Atikokan, Ontario to raise their family. Mom was predeceased by dad, who died on March 1, 2012. She is survived by her youngest sister, Ella, her children, Rhonda, Kim (Laurie), Lori (Gary) and Coral (Ken), grandchildren, Ron, Jen (Ian) and Jamie, and three great grandchildren, Wyatt, Leila and Orion. Mom was a very warm and caring person with a playful soul. She loved music, dancing, her many pictures, and happy hours at the local Legion with good friends. In her early years in Atikokan, she was actively involved with bible studies, various charitable organizations and the ballet club where she had the four of us enrolled. After retiring from the Atikokan Clinic, Mom and Dad returned to Morden, where she enjoyed gardening, renewing old friendships, volunteering at Tabor Home, and sketching much sought-after charcoal portraits for family and friends. Throughout her life, family was always her first priority; with many hours spent at the ironing board in the kitchen listening to her children relate their joys, concerns and heartbreaks. Now that Mom and Dad are reunited, together they will continue to watch over us, and know the love we carry for them in our hearts. We would like to take this opportunity to thank all those at Poseidon and Meadowood Manor who provided comfort and care to mom throughout her struggles. Funeral service was held on Saturday, April 8, 2017at Doyle’s Funeral Home, at 11:00 a.m. with Rev. Catherine Waldie officiating. In lieu of flowers, if friends so desire, a donation in Mom’s name can be made to a charity of your choice.